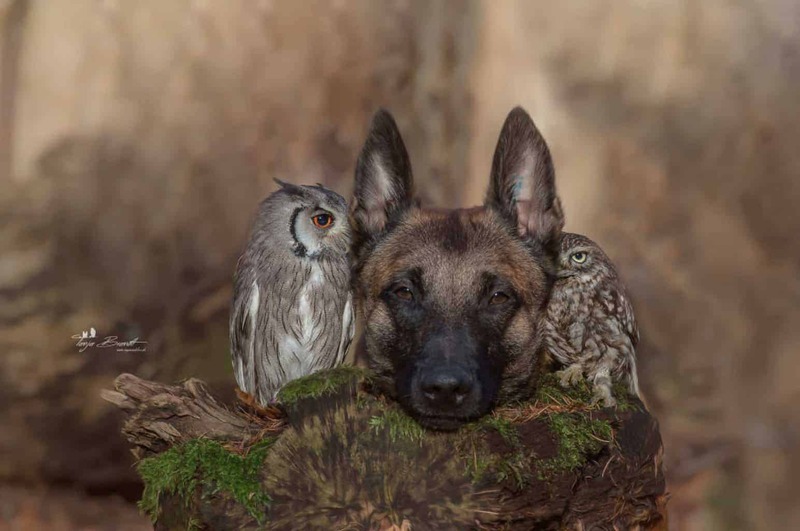 Tanja Brandt is a German photographer who has dedicated her whole life to photographing wildlife and animals. 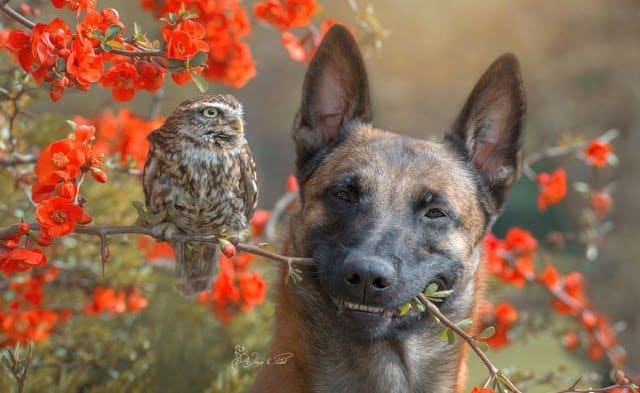 Recently Brandt took on a slightly different project; she took pictures of a very unlikely pair of pals. 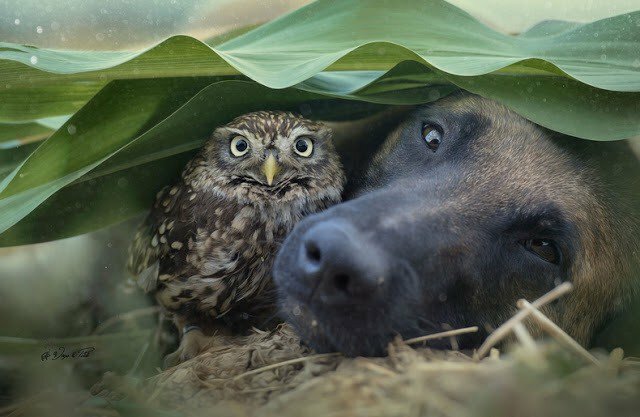 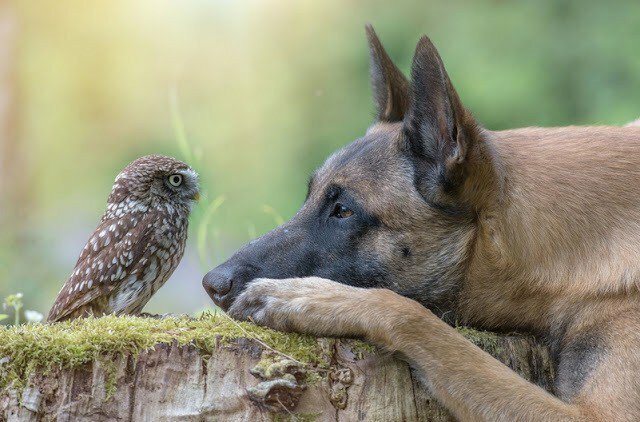 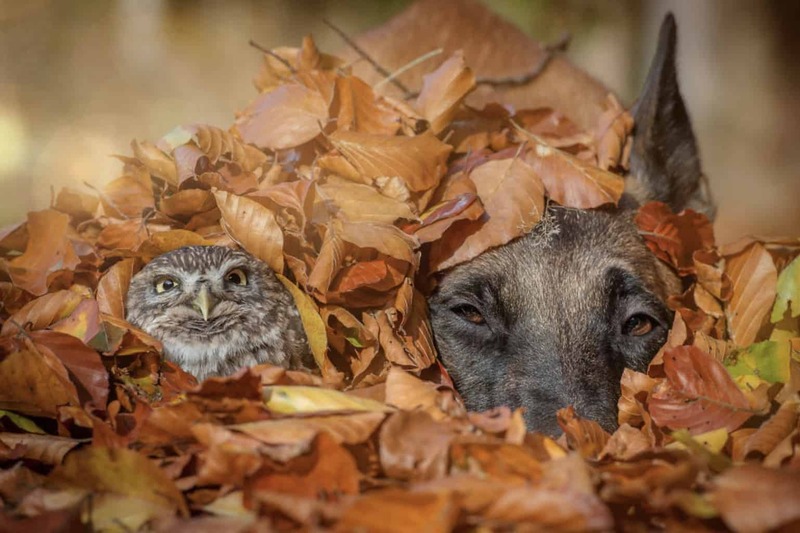 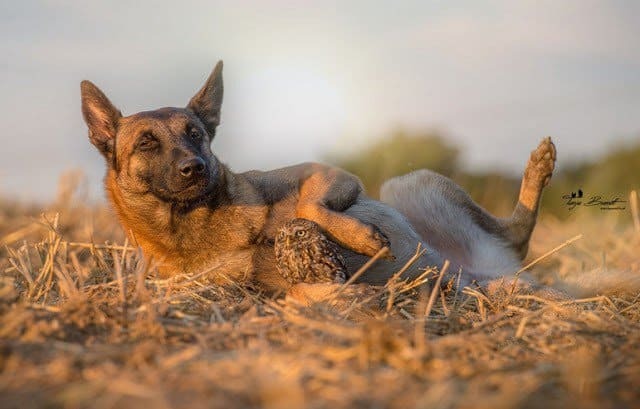 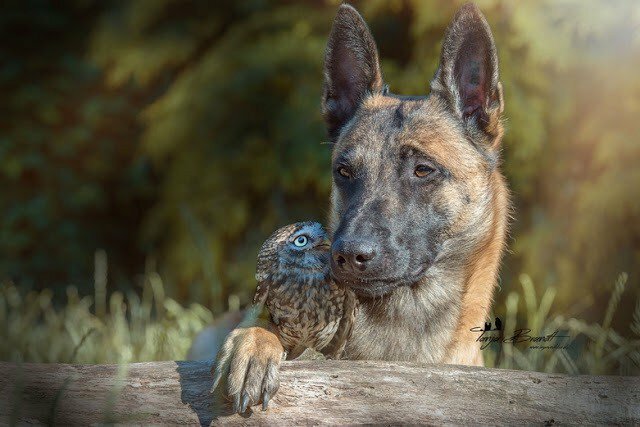 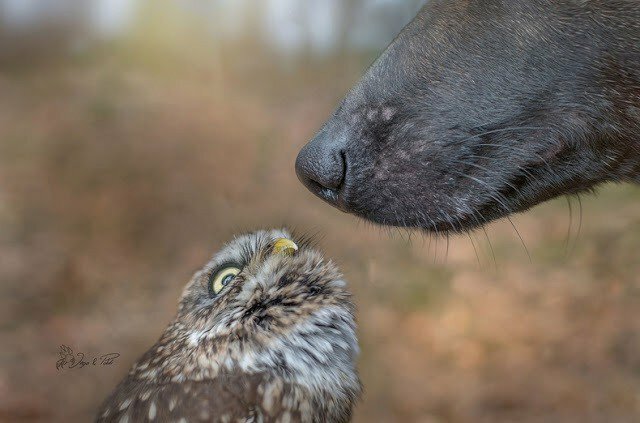 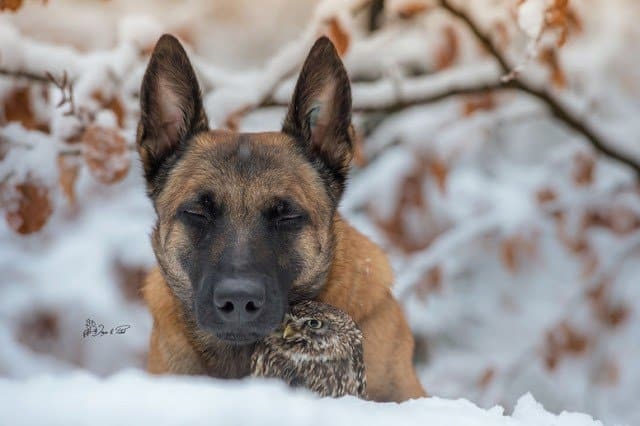 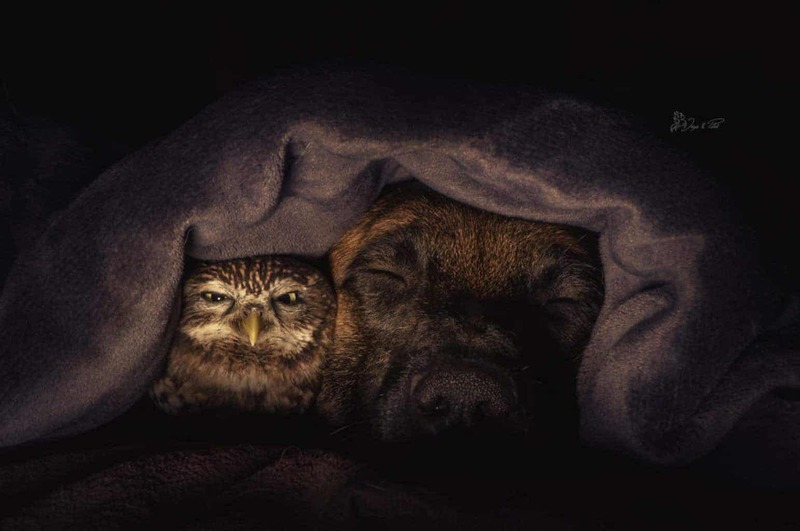 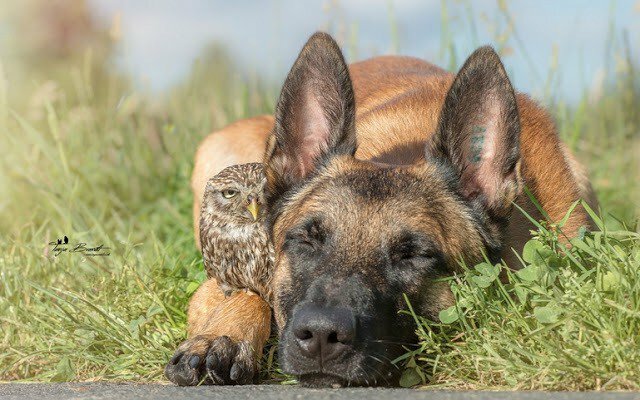 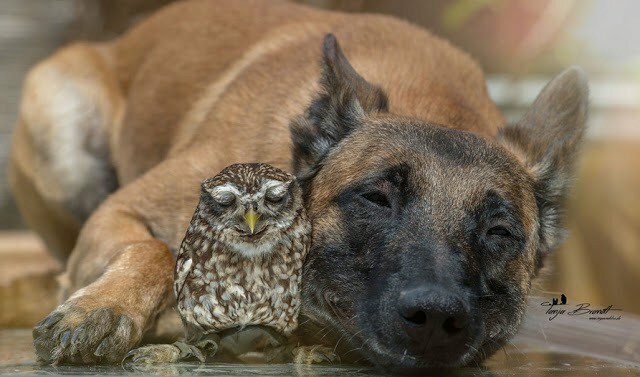 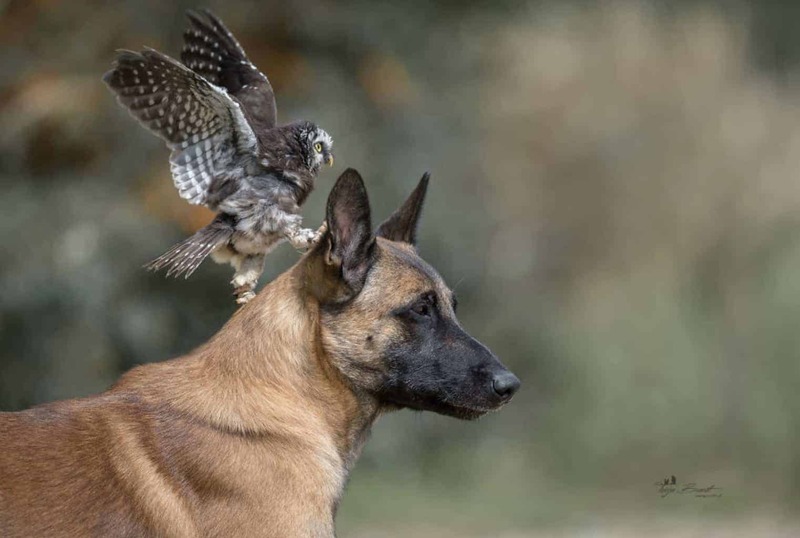 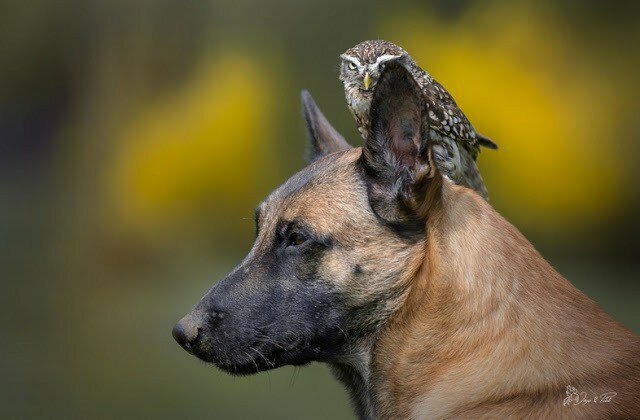 Ingo, the Belgian shepherd, and Poldi (which is short for Napoleon) the one-year-old owl, and they have formed quite the friendship. 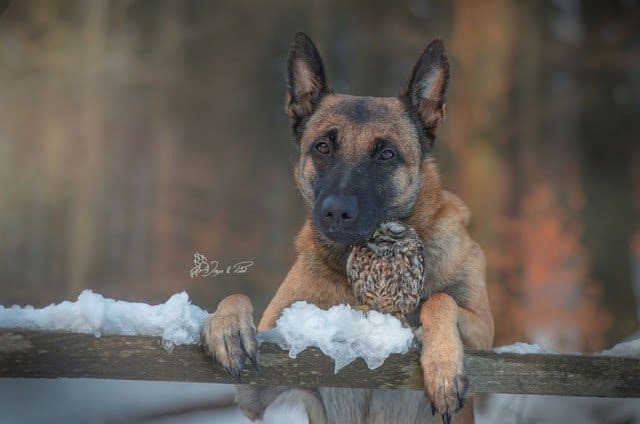 Poldi didn’t hatch until two days after his six brothers and sisters. 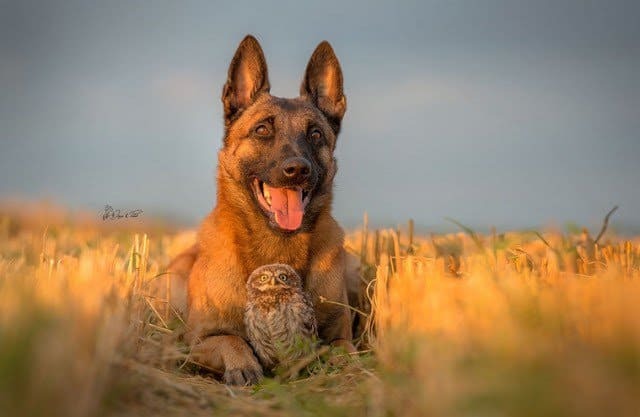 He has always been very vulnerable due to his size. 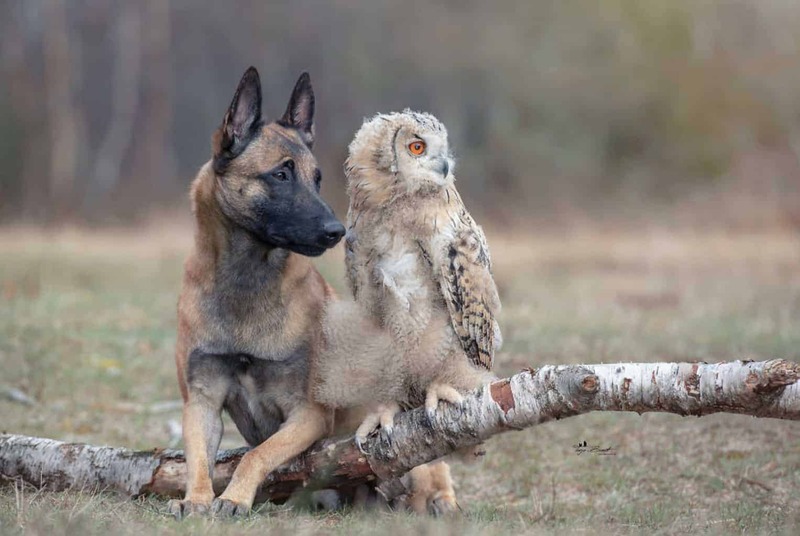 Ingo, on the other hand, comes from a family of strong and oftentimes ruthless police dogs. 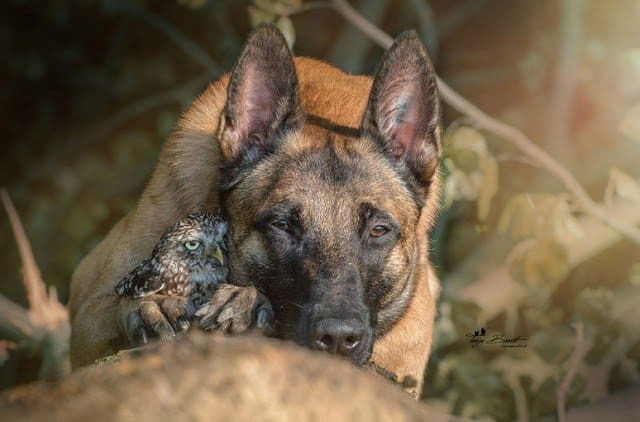 Ingo is very protective over the year-old owlet. 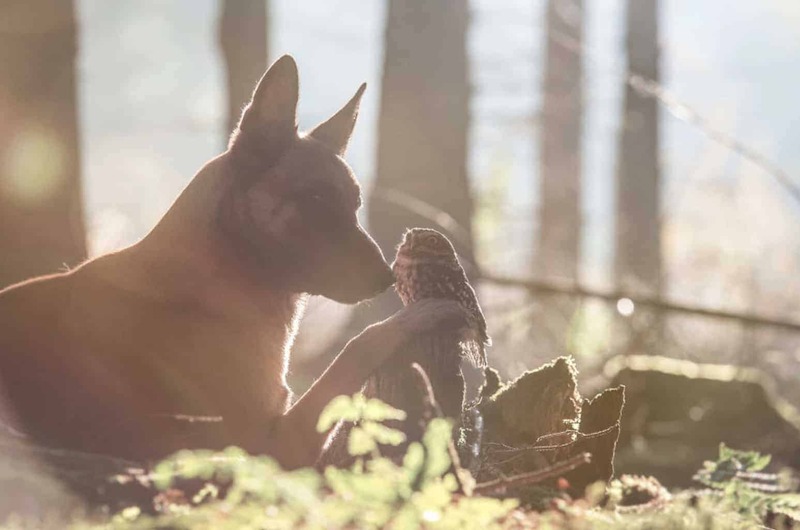 Their bond is as strong off-camera as it appears in Tanja’s photographs. 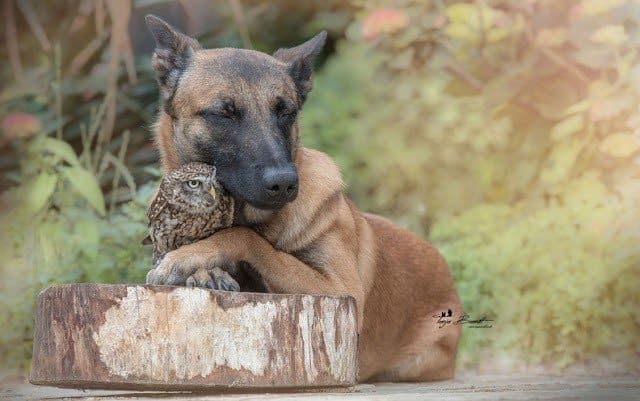 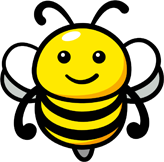 Even though Ingo is much bigger and stronger, it’s clear he would never hurt his friend. 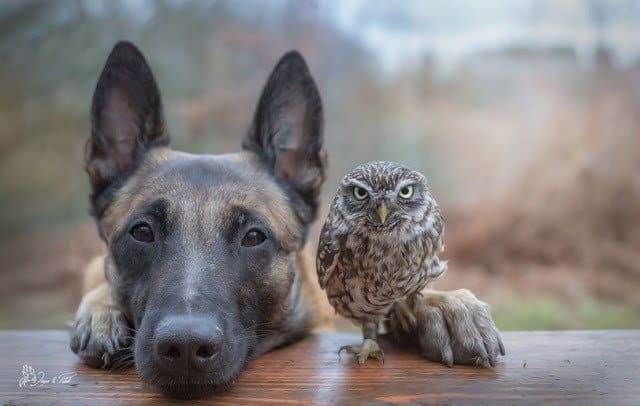 Their friendship is definitely mutual. 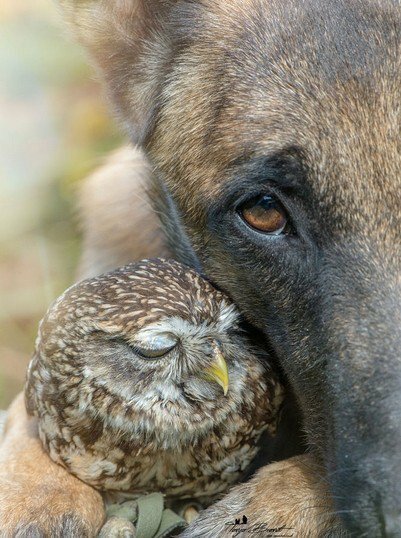 They love and care for one another. 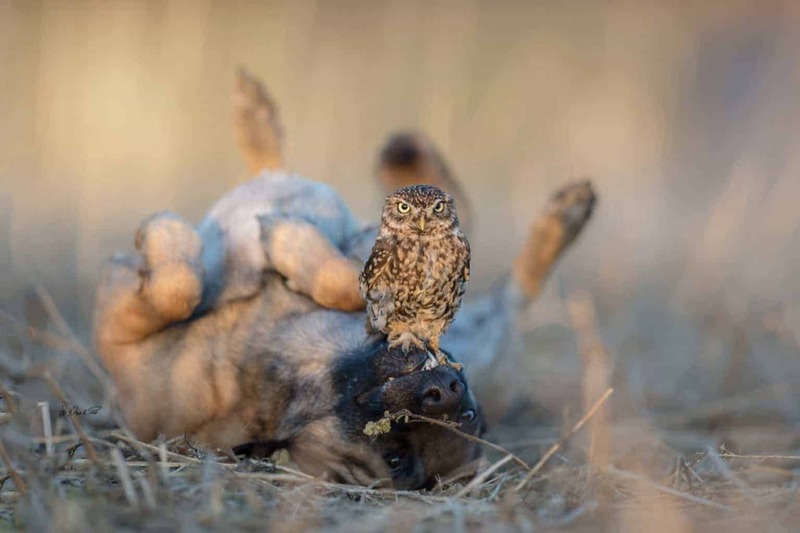 And get up to all sorts of mischief. 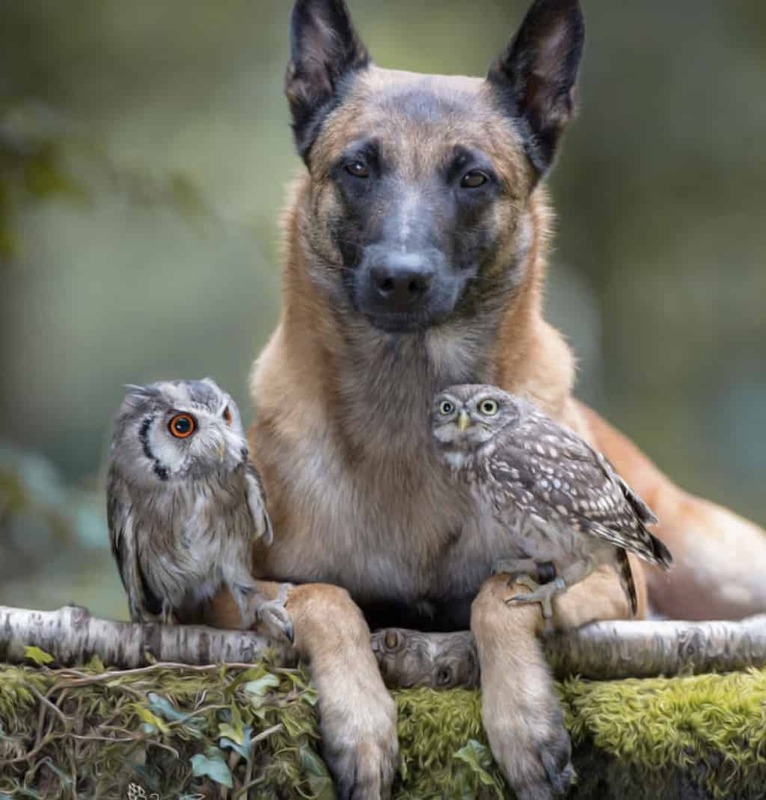 And they have even accepted other feathered friends into their friendship circle. 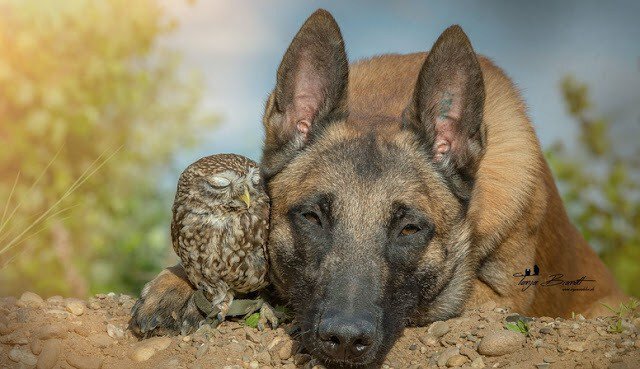 But there is only one friendship quite like Ingo and Poldi’s. 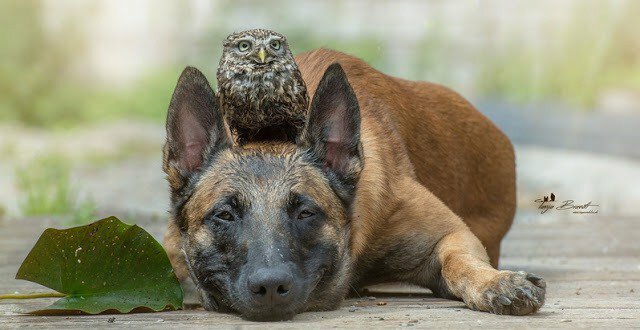 If discovering Ingo and Poldi made you smile, please share with your friends.